We are a small family run business located in the picturesque village of Shieldaig in the Highlands of Scotland.We produce both hot and cold smoked salmon in our smokehouse in our back garden.We take pride in our no frills product, it's simply oak smoked, hand sliced, vac packed and we think simply the best. We have a lovely meet and greet team waiting to see you too. 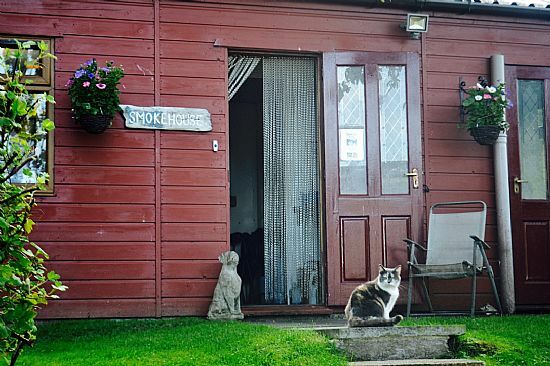 Milly the cat is waiting at the smokehouse door to show the way in, look forward to welcoming you soon.